So here’s my story. I was an English major in university, which I am sure comes as no surprise seeing as how I write and am a librarian (hey, at least I’ve always been consistent!) So anyways, going into university, I’d never read anything by Jane Austen…in fact, I hadn’t ever even thought about it. When I was in university, I was only ever assigned two Austen works to read—Northanger Abbey, and Emma. In all fairness, I actually did read Northanger Abbey. However, I wasn’t at all interested in the book, and I didn’t even understand, while reading it, that it was supposed to be a satire of the gothic genre. I think, had I known this at the time, and if I were to read the book today, I would probably love it. As it was, I thought it was okay, but definitely nothing special. When I was supposed to read Emma, well…I didn’t. It was one of those instances in which I knew I wasn’t going to write my essay on that work, and I knew I wouldn’t be tested on it, so I chose to focus my efforts on the materials I was going to be writing about and taking tests on. And then I finished university. I became gradually more and more aware of how many people love Austen, but I never had any real interest in reading her. It was always a “one day I’ll read something of hers” kind of thing, but it was definitely on the back burner. Meanwhile, back in 2010, my then-boyfriend (and now husband) and myself went to London, England. It was a fantastic trip, our first vacation together without other family, and the trip where we got engaged. And, of course, we went movie shopping whilst there, because why wouldn’t we? Anyways, we were head-over-heels with the selection of Alan Rickman films available in HMV there, and picked some up, including the mini-series The Barchester Chronicles. What does this have to do with Jane Austen? I’m getting there. Promise. 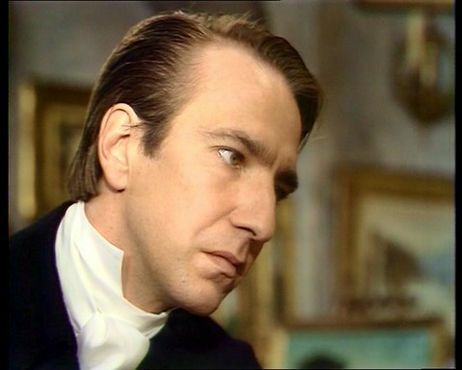 We watched the mini-series because of Rickman, and loved the mini-series because of Rickman as well as many other things. And thus began my slow crawl into the world of period-piece mini-series. I began watching more and more of these delightful pieces, and last fall, I watched Pride and Prejudice (the Colin Firth one, of course!). Loved it. Thought it was just great, and was surprised by the amount of humour in it, too. So, because of the mini-series, I began to think in earnest that I should read the book. And during the summer, I bought the book, and I began to read it. And I loved every minute of it. This story is great. Lizzie is such a fantastic MC because she is not perfect, but is aware of her imperfections and is not afraid to admit she’s wrong. 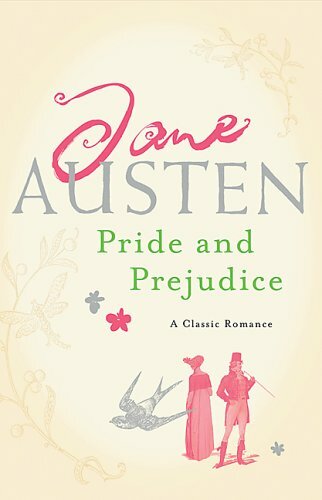 She is also not too nice, which I loved (I couldn’t imagine reading the book from Jane’s perspective). Darcy is also excellent in his imperfections as well, and I thought these two as a couple were brilliant from day one, even if Lizzie did think she hated him, and thought he hated her, too. I laughed, and also wanted to throttle certain characters at times. It was just great fun, and I’m so glad I finally got around to reading it. So that’s all. I’m not going to summarize the book, or even really make any more comments on it. I just wanted to make mention that I finally got around to reading Austen, and I loved it as much as I’ve heard so many others talk of loving it, too. And, it was all thanks to a mini-series, because if I hadn’t watched that, I’d still likely have no interest in reading the work. 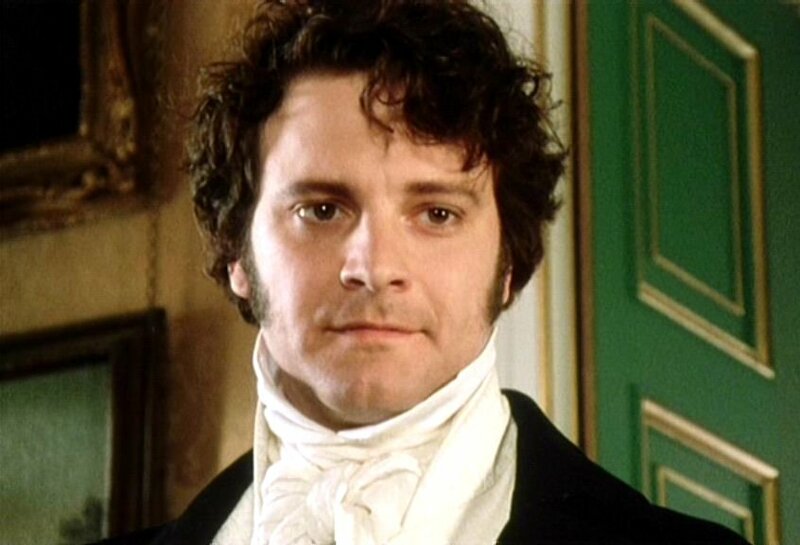 So thank you Alan Rickman for propelling my tastes forward, and thank you Colin Firth, because I still can’t watch the first proposal scene of Pride and Prejudice without bursting out laughing! Love this movie. Love this book. Everything about it is perfect.